Sarah Cooke looks after the day-to-day running of Edible Ltd. The Edible movement is Dan’s latest venture which has seen him continue to push Eats Everything to even loftier height consolidating the many different facets of his buoyant personality and eclectic taste in music into a movement that will manifest itself in numerous ways. 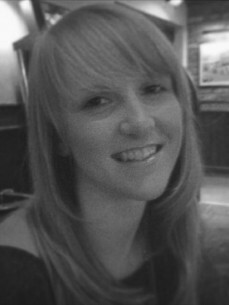 Sarah also continues to work for GRADE Management based in their Bristol office . GRADE Management are a British artist management company responsible for looking after some of underground house and techno's innovative DJs including Seth Troxler, Eats Everything, Jackmaster, Lee Foss, Richy Ahmed, Subb-an, Ben Pearce and GotSome. GRADE Management is based in Bristol in the West of England but also has offices in London and Ibiza.